This is the final cushion in the series of five for my bed. Cream on cream with a touch of gold & pearls. I used Pearl 8 & 12, stranded cotton & rayon. 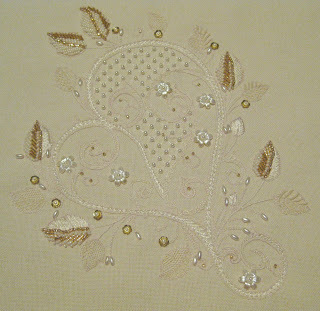 Stitches used were, Heavy Chain, Reverse Chain, Trellis, Herringbone, Spider web, Buttonhole & Needlelace stitches. Now I have to sew them up & place them in situ! I very much enjoyed doing this piece. 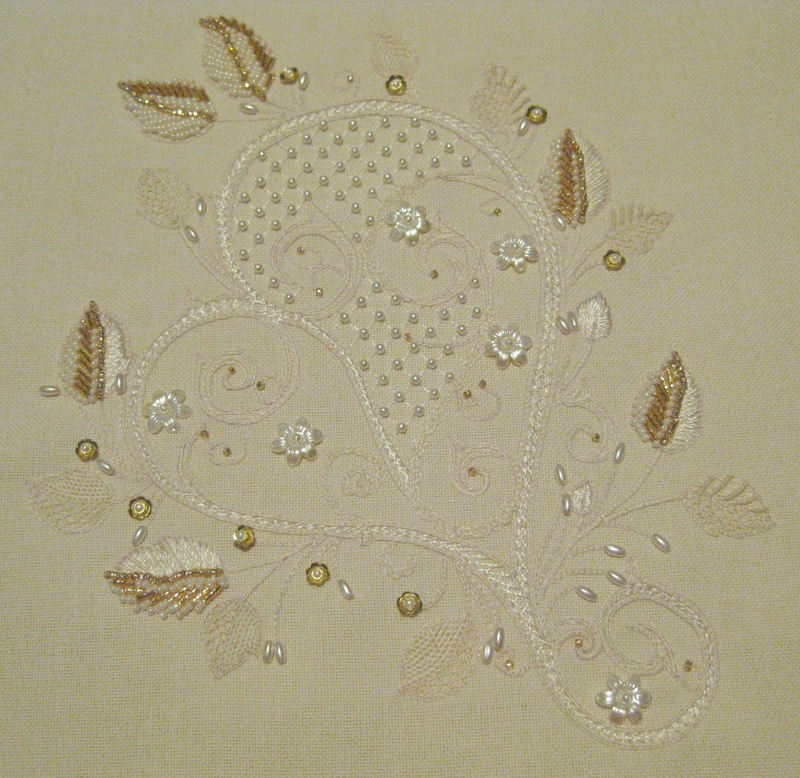 The design was one I found on the net, which I have made a few minor changes to plus of course the embroidery itself. Gorgeous! I am going to post a link to your blog on my blog, as I think your work is stunning and I am sure some of my cross stitch and embroidery friends will appreciate the beauty of your work. Many thanks. You are very generous with your comments. I love all embroidery & lace.